This is a very exciting time for Baker and Rannells, PA, the notable and highly regarded law firm specializing in intellectual property law, as we eagerly initiate the first step of our planned expansion into China. Stephen L. Baker, President and named partner of Baker and Rannells, and Attorney Pei-Lun Chang, have scheduled an exciting ten day trip to China from August 9 through August 19, 2016. 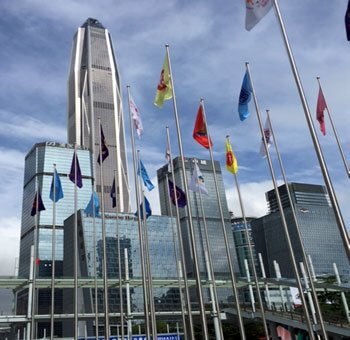 While visiting Guangzhou, Shen Zhen and other parts of China, Attorneys Baker and Chang will attend and exhibit at the annual meeting of the International Overseas Trade Fair (OCTF). The OCTF promotes overseas import and export expansion efforts in China and is sponsored by the Overseas Chinese Think Tank (OCTT). Attorney John M. Rannells, the other named partner of our prestigious firm, spoke enthusiastically regarding the trip to China. Referencing an even stronger alliance and cooperative effort with its current strategic partners, Attorney Rannells looks forward to a highly anticipated attorney exchange program with his firm and that of its strategic partners. He also believes his firm’s dedication to the Chinese market will be demonstrated through the increase of attention, talent and resources being allocated. He is confident these efforts will lead to an increase of his firm’s current Chinese client base as well. Local markets and manufacturing zones will also be of interest. Here Attorneys Baker and Chang will be working with various domestic and overseas social organizations, business associations and current local strategic alliance partners of Baker and Rannells. It is the goal of all involved in the Baker and Rannells expansion effort, to reinforce and strengthen the already solid relationships Baker and Rannells enjoys with its current China based clients and strategic partners. Baker and Rannells, PA plans to increase its recognition as a leading source for the Chinese markets intellectual property legal needs. Check back in September for Part 2, an update and learnings from the trip. For more information please contact Baker and Rannells, PA.